As the rest of the reels contain an assortment of icons, some may land as compatible matches to any of the dual images already in place. The duplicate reels could prove to be a boon. 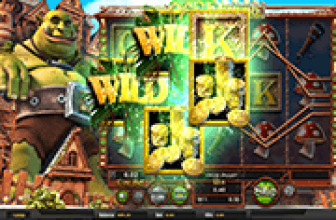 Fa-Fa Twins slot is configured with 243 possible ways to win on three or more consecutively positioned identical symbols, without need to conform to a pay pattern. The only restriction is for winning combinations to originate from the leftmost reel. Every reel is built with the Dual Reels attribute. Any two adjacent reels may display the pair of Dual Reels. Now the most beneficial outcome of a spin is when more than one pair of reels displays the same sets of images altogether. There is also a chance, a reel or reels will return with the same set of symbols, whilst positioned right next to the Dual Reels. 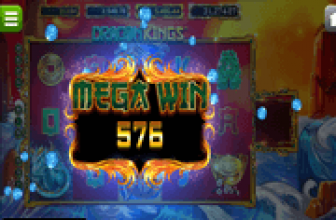 Such instances greatly increase the possibilities of hitting multiple payline wins with a single spin. 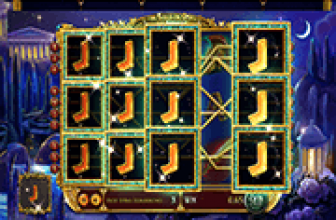 Fa-Fa Twins slot banners that the game is capable of awarding as many as 810,000 credits in a single spin. After all, the high paying icons, particularly the Fa-Fa Twins image awards 50, 250, or 1,000 coin credits on 3, 4, or 5 twin icons lining up in succession starting from the leftmost column. Other high paying images are Chinese good luck charms such as the Gold Kawaii Cat, Fish, Turtle, and the Lotus icons. The Fa-Fa Twins Logo comes around as Wild Symbol. It can represent regular-paying icons to complete or lengthen a grouping of matched symbols. However, only Reels 2, 3, 4, and 5 are built with Logo Wild Symbols. Nonetheless, if a pair of Dual Reels positioned in Reels 2 and 3 include duplicate Wild Symbols, the symbol-matching exercise becomes easier. The images in Reel 1 could easily find a neighboring match via two nearby Fa-Fa Twins Wild icons. Slot players may place 1 up to 5 coins on each spin, and select a denomination to assign as value of each coin. The range of denominations available is from 0.02 to 1.00. Based on those betting options, the lowest possible amount to place as Bet per spin is (0.02 x 1 coin), while the highest or the maximum Bet per spin is 5.00 (1.00 x 5 coins). To add more excitement to this real-money online betting game, a Gamble Feature is activated after every win-event. Players simply place their winnings as bet on the outcome of a coin toss; either Heads or Tails. Although the gamble feature could double one's winnings, players should also consider the risk of losing on a bet. Fa-Fa Twins : Remarkable Dual Reels that Could Spread Identical Sets of Images Across the Board! Fa-Fa Twins online 3D video slot by Betsoft presents Chinese Lucky Charms that land as identical sets of images via Dual Reels. As reels readily provide consecutively appearing identical images in a pair of adjoining columns, there is also a possibility for the duplicate symbols to spread in other reels; greatly increasing chances of hitting multiple wins with a single spin.